You will be making a real difference in the health and well-being in the lives of seniors. You will also have opportunities to learn about Japanese Canadian history and culture, as well as connect with other volunteers and community members. To access a volunteer application. Each position requires specific training related to the volunteer position description. Practical training is usually facilitated by a Staff Supervisor and may include the new volunteer shadowing experienced volunteers. Every volunteer is assigned to either a Momiji staff member or volunteer supervisor. The staff supervisor is responsible for providing the volunteer with guidance, training, on going support and assistance. 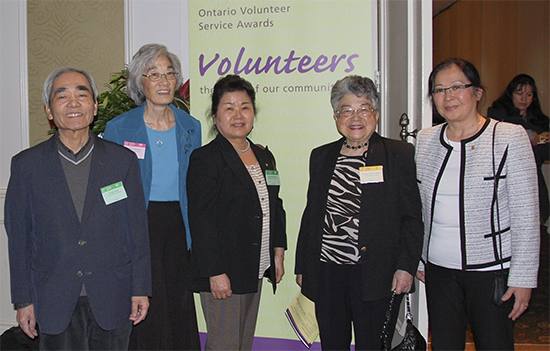 For positions that do not require the volunteer to be in contact with Momiji seniors, only a fundamental background screening is required, which includes submission of a completed application form, resume (if available) in-person interview and reference check. 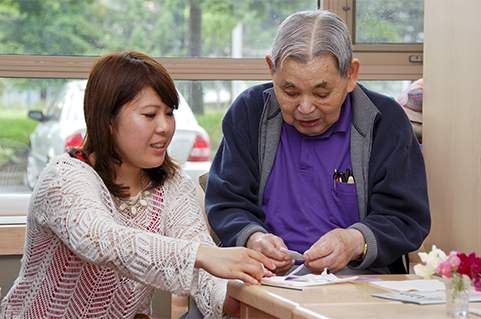 For positions where the volunteer is in contact with Momiji seniors, the background screening process includes a Police Reference Check for Vulnerable Sector. Positions that require volunteers to operate a vehicle are required to submit proof of a valid Ontario Driver’s License and satisfactory driver’s abstract. You are also required to sign a Statement of Confidentiality before a volunteer placement can commence.